The director of the International Affairs Office of the Universidad de La Frontera and the director of the International Office of the Technical University Braunschweig came together to sign a specific agreement between both institutions. About 12500 students are part of the Technical University Braunschweig (TU Braunschweig). It is one of the oldest technical universities in Germany and member of TU9, the Alliance of Leading Universities of Technology in Germany. During her trip to Chile, the director of the International Office of TU Braunschweig, Dr. Ute Kopka, visited five institutions for higher education with which they cooperate, and the Universidad de La Frontera is one of them, since the universities have a mutual framework agreement since 2016. “We are visiting the German Schools and institutions we cooperate with, because we want to increase the number of incoming students for our undergraduate programs in education and to open new possibilities for the exchange of students and academics,” she said. Although this has been a reality for the UFRO for several years, the incorporation of German researchers in the graduate programs and the creation of different possibilities for the mobility of undergraduate students, as well as the growing number of partnerships permitted an important development. This is a specific agreement that strengthens both institutions in this field. “At the moment we have a university teacher at our university who is working in the field of food chemistry and doing research in antioxidants. On other occasions we received Chilean students through the DAAD scholarship program, so we already have experience in this field and the confidence to go on,” the representative of the TU Braunschweig said. During her visit, Dr. Kopka had several meetings at the Faculty of Education, Social Science and Humanities, the Faculty of Engineering and Science and the Scientific and Technological Bioresource Nucleus (BIOREN). The German university mentions four pillars that are essential for its development: teaching, knowledge, technology transfer and research. Juan Manuel Fierro, the dean of the Faculty of Education, Social Science and Humanities, said: “Although this German university is a technical university, their programs in the field of education are very similar to ours.” This is why the cooperation regarding methodological and academic aspects and student mobility is an important opportunity. At the Faculty of Engineering and Science Dr. Kopka was received by the vice dean, Elena Oliveros, the director of the Outreach and Community Engagement Office of the faculty, Iván Velásquez, and the coordinator for internships, Gabriela Reyes. “It is essential for us to strengthen these links, since one of the main objectives of our Plan for Strategic Development is internationalization,” the dean claimed. Research performance, innovation outputs and societal impact are the three different sets of indicators the SCImago Institutions Rankings evaluate for the international ranking of academic and research-related institutions. It is the most prestigious indicator for scientific productivity at the international level. SCImago published its ranking 2019 and ranks the Universidad de La Frontera in 7th place at the national level and in 41th place in Latin America. 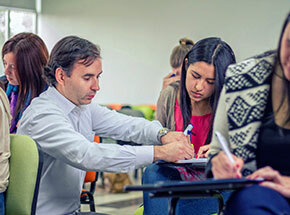 Regarding 2018, our institution for higher education climbed 5 positions at the national level and in the Latin American ranking it climbed 18 positions, thanks to the processes of constant improvement which the Universidad de La Frontera included in its institutional development plans and which were also one of the facts that led to the new accreditation last year, for 6 years in all areas. For Dr. Renato Hunter, the Vice-Rector for Research and Graduate Studies, one of the main factors for the good position of the Universidad de La Frontera during this last decade was its research performance, what leads to new challenges. “We need to establish a vision that focuses on the future regarding our indicators, especially when it comes to better mechanisms of internationalization and cooperation and, at the same time, to the networks that drive us towards state of the art scientific and technological development at the international level,” he said. The SCImago Institutions Rankings analyze 12 objective variables combined in three different sets of indicators: Research performance (50%), innovation outputs (30%) and societal impact (20%). This year, more than six thousand universities and research centers all over the world have been evaluated. To see the rankings, please go to: https://www.scimagoir.com/rankings.php. The ambassador Xu Bu visited the Universidad de La Frontera in order to talk with the university authorities about future alliances and cooperation. He is one of the most important persons in Chile at this moment. He is a Doctor of Law and has had an impressive trajectory. He has been Minister-Counsellor and has a great reputation because of his work as an ambassador through which he managed to create new commercial alliances between China and Chile that are worth more than 64 billion dollars. He appreciates the arrival of Tianqi (a Chinese company with high influence, dedicated to lithium) at SQM and has extraordinary political skills. It is not a coincidence that his official position is Ambassador Extraordinary and Plenipotentiary of the People's Republic of China to Chile. Now, he came to the Universidad de La Frontera in order to talk with the university authorities about future alliances and cooperation. “It is an honor to receive a diplomat of this level. We want to show them our potential as a university and see how an alliance with our peers from China could work. That’s part of our vision regarding internationalization,” the Rector, Eduardo Hebel, pointed out. According to the work agenda of the ambassador the rapprochement between both countries is not only taking place on the economic level, but also on the cultural and social level. “In November this year, the President of China is going to visit Chile to celebrate 50 years of diplomatic relations. Chile was the first country in South America to start this relationship and today, the country is one of our most important business partners, with exportations worth more than 43 billion dollars. A big part of Chile’s exportations go to China,” Xu Bu commented. And since this is not only about business, the ambassador as well as the authorities of different universities are strengthening their links, as it is the case of the Universidad de La Frontera, which wants to intensify the relations that already exist with China in order to strengthen and make further progress in the fields of research that distinguish this university from others. 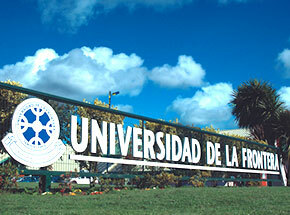 “We know that the Universidad de La Frontera is one of the most important universities in the south of Chile. 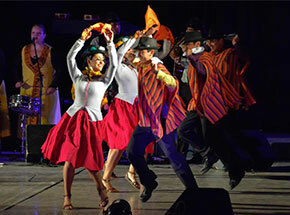 And we believe that it is important to strengthen our cultural links through our students,” the ambassador added. Actually, one of the envisioned possibilities is the establishment of the Confucius Institute at the UFRO and the continuation of student exchange between Chile and China for language acquisition, postgraduate studies or other educational and cultural activities. 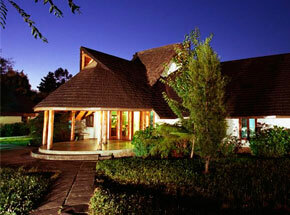 “Even though our business relations are very stable, cultural cooperation is getting more and more important. We want to encourage Chinese cultural groups to come to Chile and if there are local cultural groups that want to show their talent in China, we can support them,” the ambassador pointed out. The students come from Germany, Belgium, Colombia, Spain, Finland, France, Italy, Mexico and Uruguay and will now be part of the UFRO University Community, thanks to the work of the International Affairs Office in cooperation with the faculties, centers and institutes. Also two national students from universities of the Consortium of Universities in Chile (CUECH) are going to join the UFRO. The Rector, Dr. Eduardo Hebel, together with other university authorities of the Universidad de La Frontera welcomed the 53 foreign students who are joining the university for their undergraduate studies this semester and appreciated this part of the process of internationalization, which is essential for the development and progress of the university. “We are happy and proud that they chose this university out of the wide range of national universities. And the fact that the incoming students are from the best 100 universities worldwide shows that we are doing things right,” the university authority said. Part of the welcome ceremony was the official incorporation of the new students who will mostly stay for one semester and who will also turn into ambassadors for the international alliances the UFRO has been establishing with its foreign peers – in this case especially with prestigious institutions in Germany, Belgium, Colombia, Spain, Finland, France, Italy, Mexico and Uruguay. In the context of internationalization, which the Universidad de La Frontera is actively supporting with different initiatives and strategic programs, Dr. Schnettler assured that the International Affairs Office is focused on providing new opportunities through scholarship programs and on consolidating new networks to support academics, researchers, and undergraduate and postgraduate students. For the support of the new students during their integration process, the university organized a network of collaborating students (local students of the different UFRO undergraduate programs who volunteer to help the new incoming students with their adaptation), who are going to be their sponsors during this initial phase. 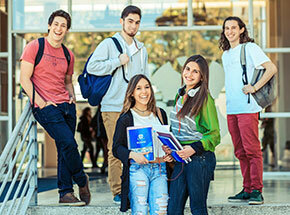 Antonia Espinoza, who is in charge of the National and International Student Mobility Unit of the Universidad de La Frontera, explained that, since 2010, the institutional efforts brought more than 500 foreign students to our university. All of this is possible thanks to the different agreements for international cooperation and student mobility. Thanks to the work of the International Affairs Office in accordance with the interests of the institution from New Zealand an auspicious work agenda has been developed that included a meeting with the Rector, Dr. Eduardo Hebel, the Vice-Rector for Research and Graduate Studies, researchers and academics of BIOREN, the Institute of Indigenous Studies, and the Faculty of Engineering and Science. A delegation of three members of the Auckland University of Technology (AUT) from New Zealand came to the Universidad de La Frontera and established through this visit a first approach with Chilean institutions, since they want to ensure a greater openness to South America. These are initial links that might lead to an academic cooperation and student mobility between these two universities. One of the new strategies of internationalization in New Zealand is to open up towards new territories and countries for cooperation. “We are here because, until now, almost all the institutions with which we have international cooperation agreements are in Asia and we consider that South America should be our next destination for international development”, Ricardo Chacón of the AUT commented. According to Ricardo Chacón, the AUT categorized the Universidad de La Frontera as one of the three institutions that are suitable for this objective, and Chile, Brazil and Colombia as key countries. “We have been looking into several institutions to see which ones are suitable for a mutual cooperation, according to our mutual capabilities. And it is not randomly that we included visits at the Universidad Católica de Valparaíso, Universidad de Santiago de Chile and the Universidad de La Frontera in our schedule. The UFRO was chosen because of its experience in the field of interculturality (Mapuche People), the development of engineering solutions for big projects and for its past, for being heir of a technical university”, he confirmed. The director of the International Affairs Office of the UFRO, Dr. Berta Schnettler, manifested great interest in concrete formal agreements and partnerships regarding Oceania and said that this was a great opportunity for both universities: “We realize that, if we are interested in creating strong links with new strategic partners abroad, the best way is to start a partnership step by step, on which we can build cooperative networks that really are of mutual interest”. After a tour to get to know the Scientific and Technological Bioresource Nucleus (BIOREN), the Institute of Indigenous Studies and the Deanery of the Faculty of Engineering and Science, the representatives of the Auckland University of Technology announced another visit in September. “We are very satisfied with the results and we see a possibility to contribute to how the universities participate in the development of the indigenous world, and we hope to be able to open new opportunities for the exchange of students of Mapuche and Maori origin through our doctorate programs. On the other hand, we notice that the Faculty of Engineering and Science of the UFRO has great potential regarding the curriculum and program design, as well as regarding the different fields of research,” Dr. Guy Littlefair, the Pro-Vice Chancellor and Dean of the Faculty of Design and Creative Technologies at AUT, said.